In line with the news about Blackberry lining up about 3 new android devices, which are slated to be unleashed before this year runs out, Blackberry DTEK60 has surfaced as the most likely and next Blackberry android device to take turn after successful launching of http://ghchjgv.blogspot.com /2016/07/blackberry-secretly-unleashes-its.html" target="_blank">Blackberry DTEK50 few months back. Blackberry DTEK60 would eventually become Blackberry 3rd android device after Priv and DTEK50. The device is probably going to come out as the Argon, one of the codenames initially assigned to the 3 Blackberry android devices that would be making their debut this year. Specs leaks shows that the Blackberry DTEK60 is highly upgraded version from their previous DTEK50 device and this time around would be coming with larger 5.5inches display away from DTEK50 5.2inches screen. 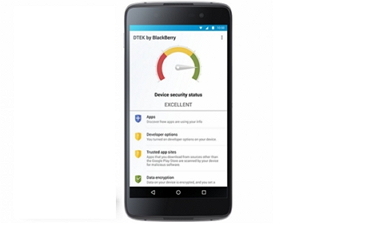 Still in the specs leak, is that the Blackberry DTEK60 will most likely feature a Qualcomm Snapdragon 820 chipset. The internal memory is said to be 32GB storage, which will be supported by a 4GB of RAM. Blackberry DTEK60 will feature whopping 21MP rear camera and 8MP front facing shooter. The back of the device will be packed with a 3000mAh non-removable Li-ion battery and this time around it will be coming with fingerprint scanner. Finally, the Blackberry DTEK60 is expected to launch soon and be rest assured that we will keep you updated on the news concerning this Blackberry next android device. you just read the article about Blackberry DTEK60 Up Next, As Specs Leaks Circulate On The Next Blackberry Android Smartphone and can you bookmark or share with link https://ghchjgv.blogspot.com/2016/09/blackberry-dtek60-up-next-as-specs.html so thank you.